Departing New Yoga Pitha Dhama, Slovenia and Sri Sri Pancha Tattva on Wednesday, April 25th, we drove 3½ hours for the program at Prabhupada Desha in Albettone, Italy, and then another 2 hours to Milan for the program on April 26th. As usual, we felt the Lord guiding us every step of the way. The temple programs, though attended by a small number of devotees due to the holiday season in Italy, were still most ecstatic and inspiring. Greeting the Padukas and Sitari, we were met by bight faced devotees who enthusiastically chanted the Holy Names, bathed the Deities and listened attentively to talks by Jananivas and Braja Vilas prabhus. Madhu Sevita prabhu, the GBC and temple president of the Milan temple assisted by translating into Italian. 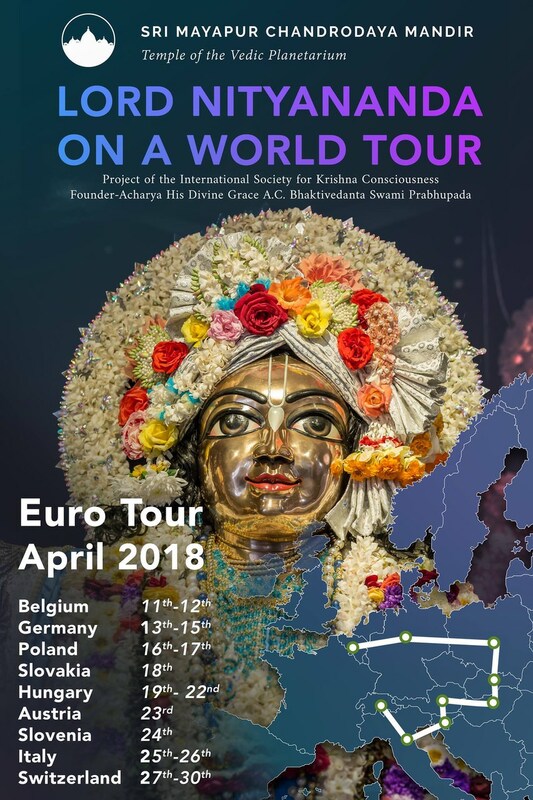 Once again, the response from the small number of devotees was overwhelming and the total pledges for both temples was 81,000 Euros/97,000 USD. With hearts fixed on the service of the Lord, these devotees gave their best. 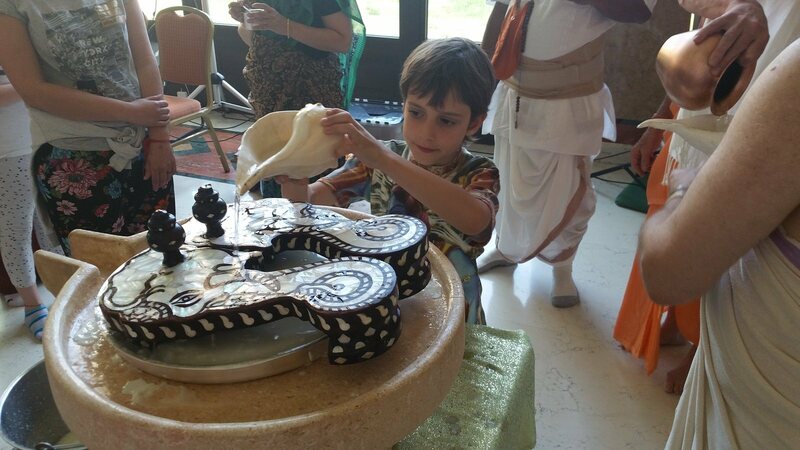 We want to thank the GBC of Italy, Madhu Sevita prabhu and temple President of Prabhupada Desha, Gurucaran das, as well as Citrarupini devi dasi (ACBSP) for organizing the temple programs. Due to their inspiration and leadership they have invoked a wonderful service attitude towards the Holy Dhama of Sri Mayapur in the hearts of all the devotees. Our next and last program on the tour will be Zurich, Switzerland on Saturday, April 28th.